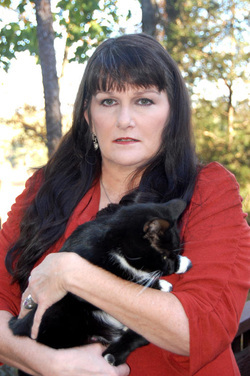 Please join me in welcoming Elaine Drennon Little as she shares and interesting experience that many authors can relate to. I was particularily drawn to this article since all of my books are categorized as Literary Fiction, because they are primarily character-driven… but here is a new slant on the thinking. “Literary fiction is a term principally used for certain fictional works that are claimed to hold literary merit…To be considered literary, a work usually must be “critically acclaimed” and “serious”. In practice, works of literary fiction often are “complex, literate, multilayered novels that wrestle with universal dilemmas”. In my long and varied quest towards becoming a writer, I once signed up for a workshop in which a best-selling author, living in my state, would read an excerpt from my work, critique it, then offer tips on how to “pitch” my work to an agent. The whole aspect of this idea was to help enable me to effectively pitch my entire novel in little more time than that of an elevator ride. I had my doubts that such was possible, but I was ready and willing. “In what part of the bookstore would you expect yours to be?” she asked, cutting right to the chase. “Literary fiction,” I answered without hesitation. Yet for some reason the mere mention of the genre seemed to insult her. “Literary, you say,” she mimicked in a voice chilled with—Sarcasm? Hurt? I wasn’t sure. I didn’t know what to say, so I sat there, dumbfounded and looking stupid. I barely remember the rest of our ten-minute talk. I do know that, walking away, I was pretty sure I’d insulted an author I’d admired for decades, and that anything she might remember about me would be something I’d rather never happened. I’d never really thought about how her books were listed; I’d read and enjoyed them all. However, after her first efforts were labeled, perhaps it was hard to break the label, no matter the content of the writing. I had nothing against either genre, but obviously, something about that label still hurt her, years and many best-sellers later. I went to the shelf and pulled out my favorite among her writings, rereading and enjoying it far into the night. On a final note, I want to share one other thought that may mean nothing to you, but I feel compelled to say it anyway. The descriptive pictures and meaningful scenes I equate with Lee Smith, Pat Conroy, and Larry Brown are no more thought-provoking than yours. Your heroines may live in nicer places and wear trendier clothes than the Appalachian writers, but they laugh, cry, and ponder the human condition just as theirs do. I love your writing, and wish I had been articulate-on-my-feet enough to let you know this when I met you. I reread my letter and hit “send,” feeling a little less guilty about the previous day’s events but never expecting to hear from this author again. First, please call me ******. We’re all just sister writers. Second, I am weeping with gratitude for the fact that you “got” what I worked so hard to incorporate into my work. God bless you. To be mentioned in such gifted literary company is humbling, indeed. Believe it or not, I am left speechless by your praise. I guess that particular workshop taught me much more than I paid for, a lesson I’ll continue to remind myself of in coming years. Labels such as “literary” carry more than one connotation, and to box oneself into a singular category can be as detrimental as not. Is all southern fiction literary? Of course not. Neither is all work set in New York City or Paris, France. Can literary fiction be found under other bookstore headings? Certainly. Most importantly, I think we should all beware that many works with deep literary value may never reside in the places reserved for highbrow fiction. Good fiction, for whatever age, gender, ethnicity, culture or socioeconomic class it may be aimed, will continue to explore emotional journeys of the human condition. Perhaps a book’s “literary” worth is measured by its worth to readers. If so, I guess I’m more interested in writing in a way that speaks to the reader’s heart than being proclaimed as a literary writer. I still claim to be a lover of literary fiction, but my love of fiction in general is bigger than that. All in all, I just love books—beautiful, complex stories that take me into the soul of someone else. What kind of stories do YOU like? Does it fit under a common label, a combination of genres, or can you make up your own? 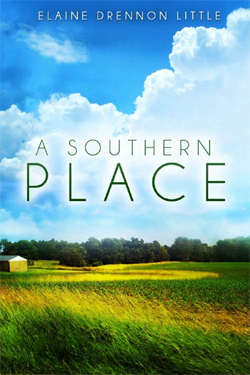 A Southern Place is a moving book that is expertly written! Mary Jane Hatcher–everyone calls her Mojo–is beat up bad. She’s in the ICU of Phoebe Putney, the largest hospital in South Georgia, barely able to talk. How Mojo goes from being that skinny little girl in Nolan, a small forgotten town along the Flint River, to the young woman now fighting for her life, is where this story begins and ends. Mojo, her mama Delores and her Uncle Calvin Mullinax, like most folks in Nolan, have just tried to make the best of it. Of course, people aren’t always what they seem, and Phil Foster–the handsome, spoiled son of the richest man in the county–is no exception. As the story of the Mullinax family unfolds, Mojo discovers a family’s legacy can be many things: a piece of earth, a familiar dwelling, a shared bond. And although she doesn’t know why she feels such a bond with Phil Foster, it is there all the same, family or not. And she likes to think we all have us a fresh start. Like her mama always said, the past is all just water under the bridge. Mojo, after going to hell and back, finally comes to understand what that means. Thank you both Bette Lee Crosby and Elaine Drennon Little for this insightful post. You have both become such blessings in my life and I appreciate you so much! Hi Bette. I am never sure how to tag books. Some are pretty easy, thrillers-suspense-romance….It seems like THEY keep coming up with new genres, or subgenres. Get confusing. Is there a tag for your book that you would like added on by blog and Goodreads that I don’t use? This was very interesting. For as long as I can remember, the only books I checked out at the library or purchased were in the area of something I had no name for. A few years ago, while belonging to doubleday large print book club, I clicked Literary Fiction and it brought up the type of books I enjoy. For me, I will always recognize, know and read LITERARY FICTION.